Best New Attraction in New York City For Thrill Seekers! The twists and turns of Coney Island’s new roller coaster are sure to provide a thrill. 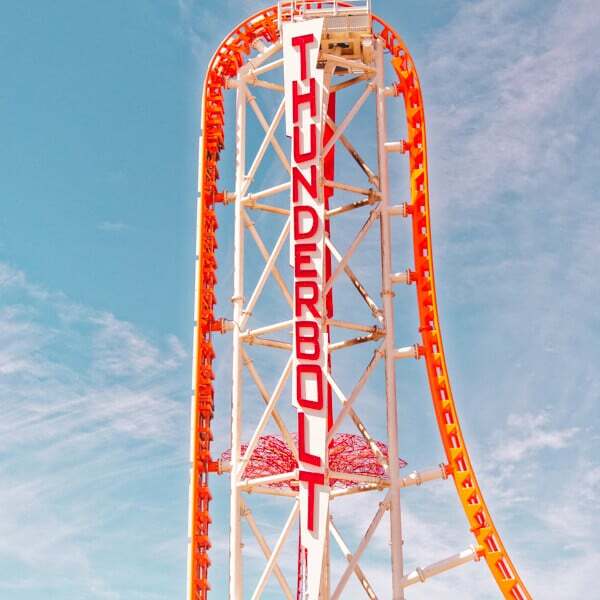 Your two-minute rolling adventure over 2,233 feet of steel track begins with a hair-raising 90-degree vertical drop, hurling The Thunderbolt at speeds up to 55 mph over an exhilarating course highlighted by a 100-foot vertical loop. Fly over airtime hills, float through an 80-foot zero-g roll, race around a 112-degree over-banked turn and hold tight as you cruise toward The Thunderbolt’s corkscrew section and heartline dive on a one-of-a-kind ride you will never forget. Searching for something new to do in Brooklyn that’s fun and exciting? Plan a trip to Coney Island and experience the rush of Luna Park’s Thunderbolt roller coaster!